Behind the success of the Alpha Course is an army of prayer warriors interceding and praying for every aspect of the course. More and more Alpha churches around the world are adopting creative methods of corporate prayer to underpin church life. In this simple booklet, Pete Greig describes practical models of corporate prayer, alongside inspiring testimonies from Alpha Offices and 24-7 Prayer networks around the world, and provides helpful guidelines for becoming an effective praying community. 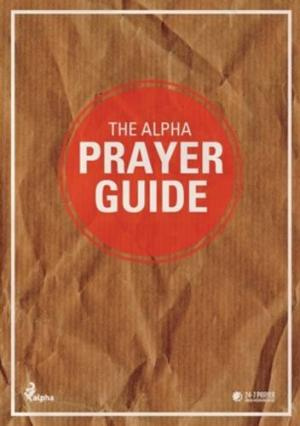 The Alpha Prayer Guide by Alpha International was published by Alpha in February 2012 and is our 4900th best seller. The ISBN for The Alpha Prayer Guide is 9781907950711. Be the first to review The Alpha Prayer Guide! Got a question? No problem! Just click here to ask us about The Alpha Prayer Guide.